From the tranquil moors of southern England; to the Caribbean's steamy shores; to the sweeping African plain, the moral compass is set to spin off its axis. For Thomas Edward Muir, evil is not illusory, it is the debasement of young lives; it is the slaying of the innocent; it is the eradication of family. "Surrender..," he is told, "...is the way of the world." 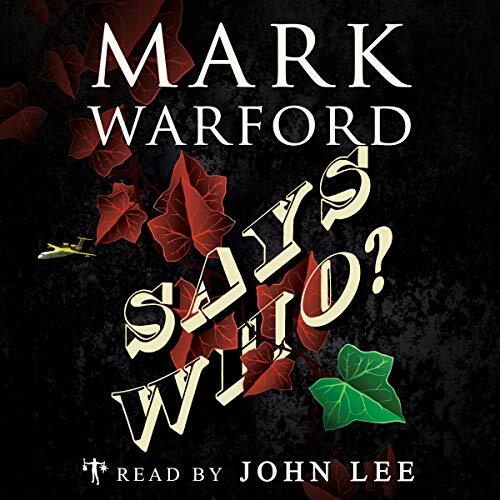 The sequel to Sky Blue Sky subverts and energizes the tired conventions of the modern action thriller with an extraordinary tale born of lands distant and minds altered, and provides the only truly dignified response... "Says Who?"